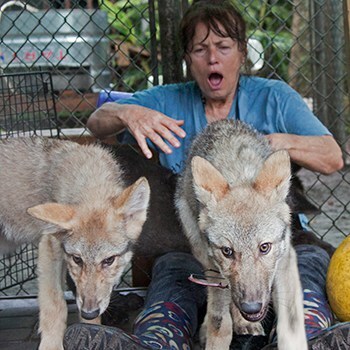 Not until Nancy was in her 30’s did she feel like she might be able to do something about the suffering of animals…there was nothing in place in 73-74 in Collier County to protect animals from people. Nancy started by collecting over 5,000 signatures from voting residents to establish the need for rules and regulations in Collier County. And there it began….It took 2 years but she did it! Nancy also worked with Florida’s then state representative, Mary Ellen Hawkins, to get an open range law from 1823 changed requiring ranchers to keep their fences in repair. 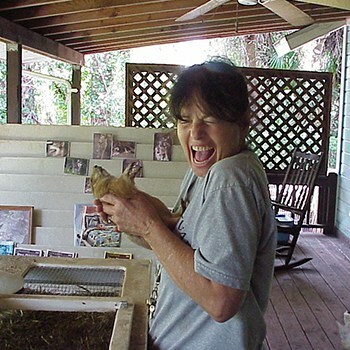 It took a while longer as the chair of the board of representatives for the state of Florida was a rancher. But they did it! 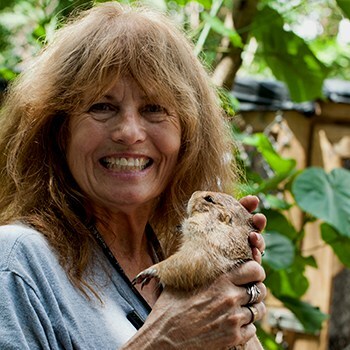 During this time Nancy was hired as the 1st Animal Regulation Officer of Collier County by the Commissioners. 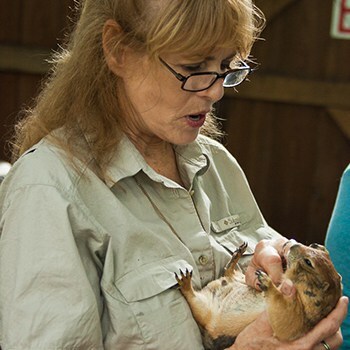 In 1987, Nancy began volunteering at a sanctuary for exotic animals in Charlotte Co. During 8 years at the sanctuary, Nancy learned as much as she could about operating a sanctuary. 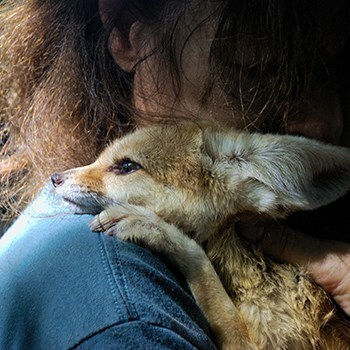 She learned what worked and what didn’t work…most of all she learned the most important thing was to operate for the animals and she already knew it had to be from the heart. 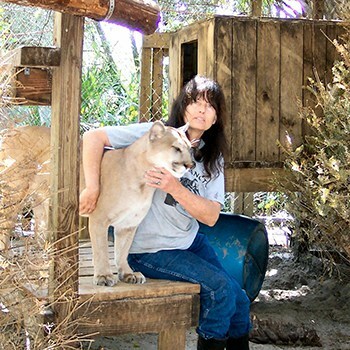 Nancy rescued her first exotic animal in 1993, a baby black asian leopard, who lost one of her legs needlessly because her enclosure was too close to a larger cat’s enclosure. The big cat was able to attack her through the fence. Moondance was Nancy’s baby and went with her everywhere, loving to ride in the van and snuggle in her lap. Moondance lived safe, loved, and happy with Nancy until passed at 16 years of age. 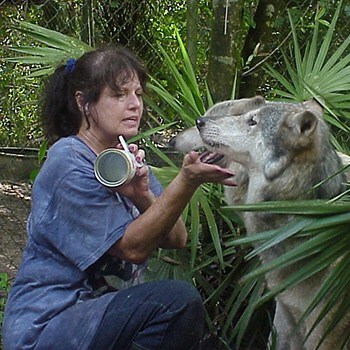 The first wolves arrived in 1994 from a zoo being shut down for problems with Game and Fish Commission. 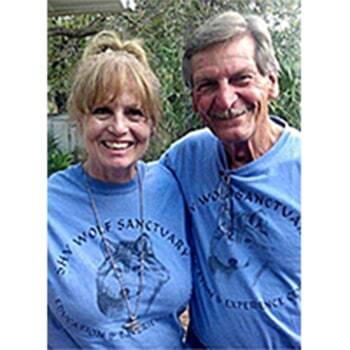 2001 January- Shy Wolf Sanctuary, Education and Experience Center, Inc. officially became a 501(c)3 entity…we survive totally by the generousity of the public. We are here to educate, educate, educate…..we also work with children to get rid of fears…which can paralyze the spirit and soul in our Healing Hearts program. 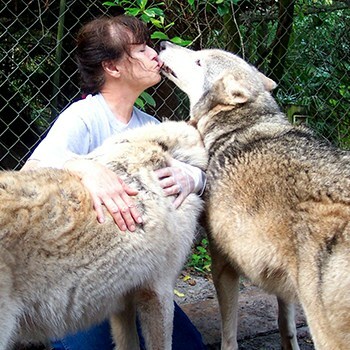 We provide safe haven to animals in need. 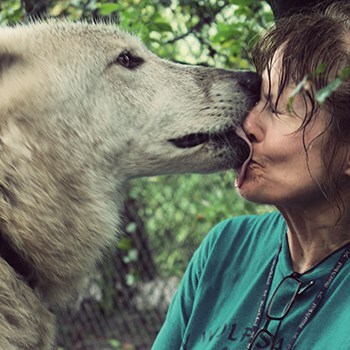 It has taken a while for me to realize just how truly blessed Shy Wolf Sanctuary is, not only to me, but to everyone who volunteers here and to everyone who brings their relatives back time after time to visit. Shy Wolf Sanctuary is every special animal that is housed here, and every special volunteer who enters and comes here for various reasons, maybe to be near the animals or as a stepping stone to their spirit and soul, but for whatever reason, they are so special and Shy Wolf Sanctuary would not be here if not for the volunteers. 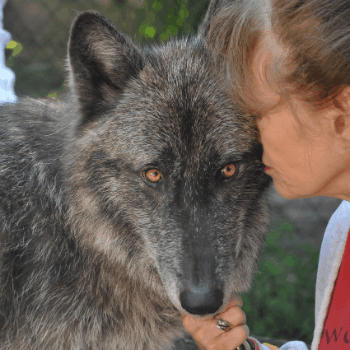 I do not think of myself as THE person of Shy Wolf Sanctuary….I think of myself a just one of the many volunteers of Shy Wolf Sanctuary….We are all connected, the volunteers, like one big pack family. 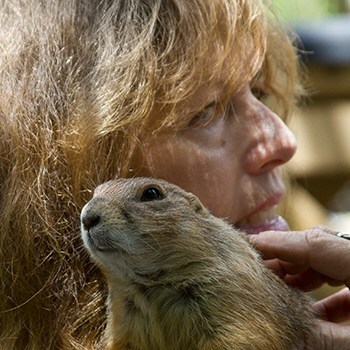 I truly believe that we are all connected to the earth and each other, and what happens to the earth, and animals, happens to us. And AWARENESS is desperately needed by ALL.